Hi Stephen, and thank you for taking time out of your jam-packed schedule to tell us about your position on the Bitstocks’ Crypto Advisory Service team! 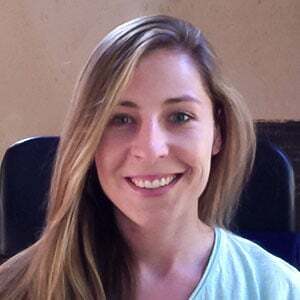 Liz: With Bitstocks’ intense focus on investing according to the crypto fundamentals (instead of hype and speculation), I am particularly excited to learn more about your field of expertise. I understand that your position of Investment Associate fields the areas of institutional relationships as well as market analysis. Considering the institutional services are still in the process of being built, my questions will focus on the other side of your role, your journey to cryptocurrency, and your vision for the future of crypto. Stephen: Agreed. We will soon be revealing the holistic cryptocurrency ecosystem that Bitstocks is building for both retail and institutional investors. It is an incredibly exciting time. Liz: Right, so when it comes to your position on the Bitstocks Market Advisory team, what do your responsibilities entail? Stephen: In this arena, I fulfil the role of cryptocurrency market analyst, so I am tasked with monitoring the cryptocurrency market, keeping on top of the crypto holdings in our clients’ portfolios and ultimately sourcing projects with great growth potential that have longevity in the space. Being directly responsible for company investments is a stressful yet exhilarating challenge, and it allows me to directly add value to our clients through their portfolio’s performance. Liz: Your background lies in Economics, and I believe you graduated from Brunel University in London with a first class honours degree. Where did your interest in economics spring from? Stephen: As a child, I was always intrigued by money. I would exchange my pocket money and collect different currencies used all around the world. This fascination prompted me to ask questions such as why does “money” differ from place to place? And, who creates these different forms of money? As my research commenced, I became more and more intrigued by the idea of money being restricted to certain areas and why one form of money retains a higher level of purchasing power than another. Ultimately this led to me pursuing an A Level in Economics which in turn led to me studying economics at a degree standard with the aim of filling the spaces which were once unanswered. Liz: Did the coursework focus exclusively on traditional economic theory, or did you manage to incorporate cryptocurrency and blockchain economics into your studies? Stephen: While my degree was mainly mathematically driven, the fundamentals learned throughout consisted of traditional economic theory with very little to no cryptocurrency involvement. I was not able to incorporate much cryptocurrency and blockchain economics into my work (at least up until my final year), however, some of the more advanced topics such as Further Macroeconomics and Economics of Information gave me exposure to economic theories like Game Theory and the Principal-Agent Problem which are of great use when analysing the cryptocurrency market. Due to Bitcoin’s Proof of Work consensus, its success is reliant upon those who safeguard the network, i.e. miners. It is therefore fundamental to understand the miner’s incentives, both social and economical, for mining the present-day Bitcoin network as opposed to a fork like Bitcoin Cash. In the third year of my degree, I was required to complete an economic thesis which accounted for approximately 20% of my overall grade. Going against my supervisor’s advice, I chose to produce the very first research paper which uses econometric analysis to evaluate whether Bitcoin can be deemed as an alternative form of money to fiat currency through exploring several different factors. From this I was not only able to achieve one of the highest marks in the Brunel’s history but I was also able to change some of my professors’ opinions on Bitcoin. Liz: As someone who is knowledgeable in traditional investment valuation and specialises in crypto and blockchain valuation, do you approach the assessment of these two asset classes from a similar framework or are there significant differences? Stephen: When analysing traditional equities as opposed to cryptocurrencies there is a lot of attention paid to financial statement analysis, asset valuations as well as forming the agreement given different types of investment approaches. This differs when it comes to cryptocurrencies. Valuation models like the Black-Scholes model are no longer applicable. Furthermore, while there are different investment approaches in traditional equity markets, due to the infancy of the cryptocurrency market, investors are limited to purchasing the underlying asset instead of exploring options, warrants, convertible loan agreements and other investment avenues. Having said that, there are also a lot of analytical techniques and methods that are transferable to cryptocurrencies, including entry ratios, volatility and liquidity measurements, analysis on the team leading the blockchain project as well as future projected forecasts. Liz: How do you go about identifying the ICO’s and cryptocurrencies that are worth a closer look? Stephen: Identifying an ICO which is suitable for investment is a timely and strenuous process. A lot of effort goes into analysing the project and ensuring no leaf remains unturned. Without revealing too much, a few deterministic factors include assessing whether there is an actual need for the project (as this will help determine adoption rates). Is the team leading the blockchain project credible? Are they adequately experienced in both blockchain technology and the corporate world? Can they justify the amount of funds they wish to raise? And lastly, is there actual token utility, such as a specific use case? Liz: Do you foresee blockchain technology and cryptocurrency having a major impact on global economic policy in the future? Stephen: Without a doubt. One of the significant economic problems today is inaccurate economic measurements which then lead to inaccurate economic policies. Cryptocurrencies like Bitcoin have the highest level of transparency built into the protocol. This enables economic measurement like GDP to be computed to a higher degree of accuracy. If we take England as an example, there are a number of issues that lead to inaccurate measurements of economic factors like the unemployment rate and GDP. This is partly to do with the fact that England is a part of a single market - the EU. As a result, it is problematic to calculate unemployment figures with the free movement of labour. Similarly, it is difficult to calculate GDP figures as firstly, some goods are made over the space of several years so the price should be proportionately split into corresponding years of production. Secondly, not all goods and services are recorded. Thirdly, black market activity is not accounted for. With blockchain technology, because all trade is recorded in a public ledger, accurate GDP figures are easily computed. This, in turn, will enable correct economic policies to be used. Liz: The scenario you are sketching, where the blockchain ledger is utilised for national accounting and economic modelling, is certainly lucrative considering the growing consensus around QE’s (Quantitative Easing) ineffectiveness. Many thanks to Stephen for our highly informative discussion! If you would like to get the inside track on Stephen and fellow Investment Associate, Cyrus Yari’s day-to-day at Bitstocks, make sure you subscribe to our YouTube channel where the two frequently feature in the Bitstocks podcast and vlog.